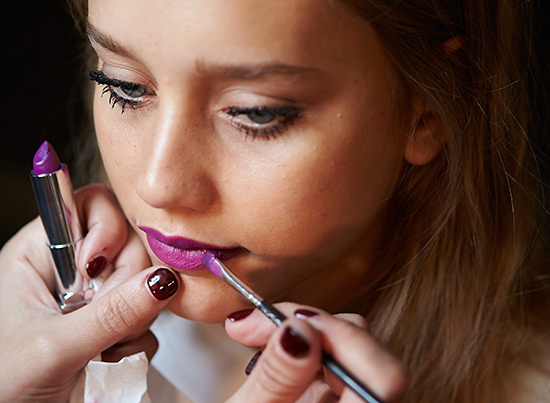 Inspired by a posh, rebel schoolgirl, the look at Nanette Lepore A/W 2015 revolved around a vibrant magenta lip with spidery lashes and glittery nails. To portray the idea of “a rebel school girl discovering mascara for the first time”, Lee layered multiple coats of Colossal Chaotic Mascara (available June 2015) on top and bottom lashes. She kept the skin natural and glowy with Dream Wonder Fluid-Touch Foundation and Dream Lumi Highlighting Cocealer added Baby Lips Lip Balim in Quenced on the cheekbones for a slight sheen. 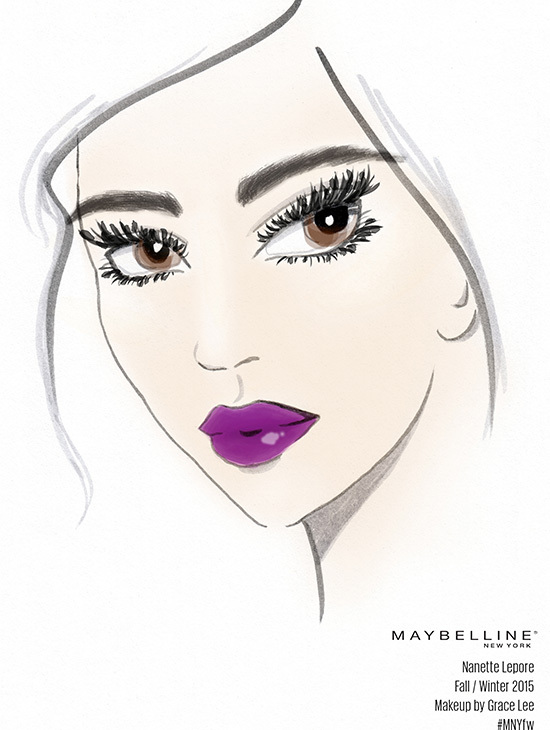 To finish with a touch of edginess, Lee applied Color Sensational Rebel Bloom in Orchid Ecstasy on the lips with a brush. On the nails, Saunders applied for the twill of it (metallic brown) then added rock at the top (gold glitter) and finished with shifting power (gold cream). Images: Courtesy of Maybelline and essie.